How did Water get here? Our water comes from the sky’s, the ocean and it turns around in a water cycle. The water we drink could be the water dinosaurs and cavemen drank and I will tell you how. The water gets put into the ocean and the sun make the water hot and that makes it evaporate, so the little drops of water rises in the sky but you cannot see them because they are so small. Then it rises and it turns into a cloud, that part is called condensation. Eventually it comes to a mountain and bangs into it. The room in the cloud shrinks and gets smaller and smaller until the cloud cannot hold any more water and has to break and that is precipitation then that is how it rains, so it will fall into a river take a few hours to get back to the sea and it is a cycle. Showers, toilets, sinks, baths, washing dishes by hand, wash dishes in dishwasher, washing machine full load, washing machine top loader, washing machine bottom loader. Hose, pool, waterslide, sprinklers, water guns, outside taps. 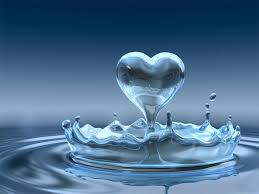 Lots of people use water but some of the people do not use it right!!! People leave the tap running, turn the shower on when you’re not even in it (doesn’t count when waiting for water to heat) and they use whole flush when not needed. What will happen if we keep on wasting water!!!!! We don’t want to die do we!!!!!!!!! We can take shorter showers, check for leaking taps, take less showers, and tell more people to make the worldJ. Tell people and help them options on what they could do to help the world and not waste more and more water!!!!!!!! !